… until Europe’s largest photographic and imaging show Focus On Imaging will open its doors. So who wants to know what we’re up to then? Over the year’s both the company and our stand evolve and grow with new colour management solutions, and this year is now exception. Focus gives us a unique opportunity to talk to our customers in-person; getting to know them, what camera they use, what they like shooting, and more importantly, what challenges they’re currently facing with their current workflow. After all, we’re here to help! So if you have a burning colour management issue you need resolving, come and see us at the show. Full details can be found on our Focus microsite, and if you want a flavour of previous shows, you can read our blog posts from the last two shows here. We’re quite excited about this year – we hope you come and see us! If you pre-register for the show you can save yourself 20% off the normal admission fee. Details here. This entry was posted in Color Confidence, Colour Management, General News, Photography and tagged Color Confidence, ColorMunki Smile, Colour Management, DxO, DxO Image Science, Focus on Imaging, Franzis, Franzis HDR, Franzis Projects Platin, NEC, NEC monitors, Photography, Tecco, Tecco Paper, X-Rite, X-Rite colormunki smile on February 22, 2013 by colorconfidence. 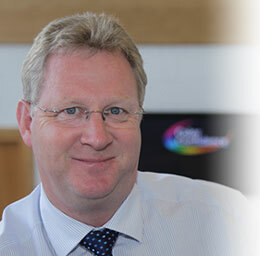 Pete Holland – who heads up our Imaging and Printing Division – will be present on stands C11 (that’s our stand!) and stand E10 (Epson) throughout the show. He looks after all things Epson and Noritsu Printers at Color Confidence, particularity focusing on professional Dry Lab solutions which allow you to produce supreme quality prints on a variety of paper sizes and media, perfect for professional or business printing. The SureLab range sets the benchmark for Dry Lab accuracy and quality, ideally suited to high-end photography print reproduction. The Epson D3000 offers a print quality and colour consistency comparable to that of Epson’s professional graphics printers. 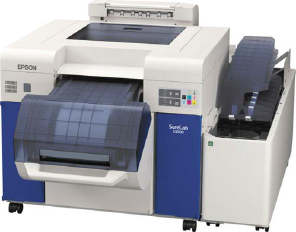 This means output will appear consistent to customers, giving companies the flexibility to work with a wider range of sizes and print run lengths by using the SL-D3000 in conjunction with another Epson printer. QSS Green is the latest in a long line of innovative Dry minilab systems from Noritsu. 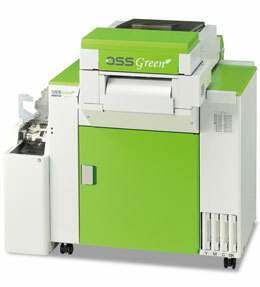 Powerful, versatile and compact, the QSS Green is built to handle a wide variety of printing requirements. The QSS Green also raises the bar in terms of environmental friendliness and print variety and has the potential to become the new de-facto standard model for photo businesses. If you’d like to arrange to meet Pete at the show, visit his dedicated Focus page on our microsite. This entry was posted in Color Confidence, Noritsu, Printing and tagged Color Confidence, Dry Lab Printer, Dry Lab printing, Epson, Epson D3000, Epson Dry Lab, Epson printers, Epson SL-D3000, Epson SureLab, Epson SureLab D3000, Focus on Imaging, Noritsu, Noritsu Dry Lab, Noritsu printers, Noritsu QSS Green, Printing, Professional printing, QSS Green, SureLab D3000 on February 15, 2013 by colorconfidence. If you’re a fan or follower of our Twitter or Facebook you’ll have noticed we’ve been a bit quiet recently. This isn’t a deliberate ploy, we’re just delving very deep into Focus on Imaging 2013 prep. We’re almost ready to reveal all, but there’s just a few more details to sort before we can show you what we have installed. You’ll just have to patient for a little longer. We were very busy in December and January setting up the new Eizo monitors; CX240, CX270, CG246 and CG276, which are the next-generation models to their existing range. We’ll be doing an in-depth monitor review on these in the next few weeks; comparing and contrasting the features and benefits of each model. Before this, we can briefly announce that the Eizo CX models (so the CX240 and CX270) will now include Eizo’s ColorNavigator calibration software free of charge. Previously, ColorNavigator was only available with the CG models, but this has now been included for the CX’s too. For a full run-down on ColorNavigator, it’s worth reading Eizo’s page here. To see an overview of all the monitors we have available on our website, or if you’re in the market for a new one, our monitor comparison chart is a great place to start to initially compare the features and technical aspects of each monitor. This entry was posted in Color Confidence, Monitors and tagged CG246, CG276, Color Confidence, CX240, CX270, Eizo, Eizo CG246, Eizo CG276, Eizo CX240, Eizo CX270, Eizo monitors, Monitor, Monitors on February 8, 2013 by colorconfidence. Colour Management at your service. After last weeks winter wonderland post we thought we might be sharing some more snowy pictures of our car park with you today. (Luckily) we haven’t had any, so we’re looking much greener this week, which is nice. In this post we’re going to talk to you about our Services and training and consultancy options; something which not everyone knows we do, but we’re very proud of. We want to make colour management as accessible as possible. Professionals or ogranisations dealing with more complex issues could benefit from our more in-depth knowledge, with over twenty years of experience to back this up. We are one of only a few certified EFI-fogra DealerCert resellers, meaning we can offer professional, accredited installation and maintenance of the EFI ColorProof XF Systems – a guarantee of high-quality proofs produced to the internationally recognised ISO 12647 standard. You can read more about this here. We can do both full and half-day training packages tailored to your specific requirements, covering a vast array of colour management topics from Installing and setting up your printer correctly to making sure your complete colour workflow is as accurate as possible from image capture to print output. So if you’ve got any colour management queries, get in touch or comment below and we’ll do our best to help. This entry was posted in Color Confidence, Colour Management and tagged Colour Management, Consultancy, EFI, Fogra, Training on February 1, 2013 by colorconfidence.